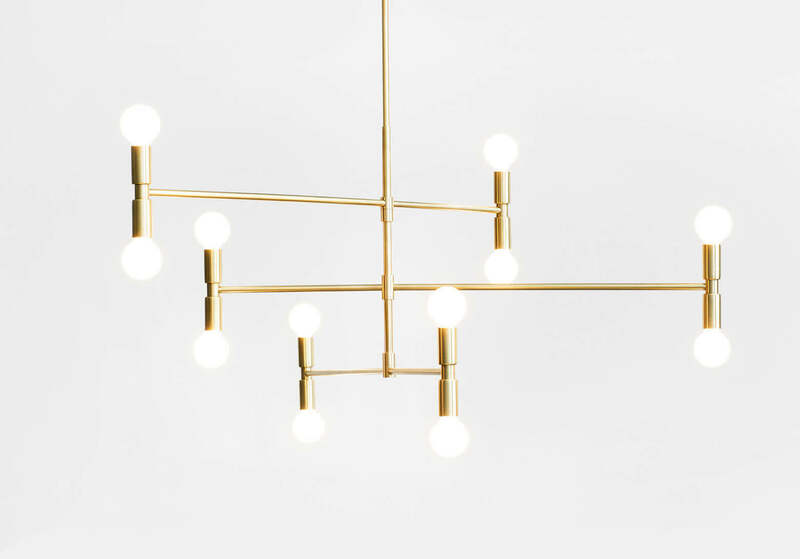 Founded by Samuel Lambert in 2010 in Montreal, Canada, Lambert & Fils comprises itself of a talented young group of creatives who take pride in their artistic, almost poetic approach to lighting design. In recent years, the trends of simplistic, and cheap/affordable industrial design has lowered the bar in the creativity of the products, and what they could be. After all, they’re such integral parts of our everyday lives – their function as aesthetic is a vital one. The works of Lambert & Fils spoke to me personally because I feel like we can probably agree on one driving concept: the objects of our lives should not be utility, but functional sculpture. 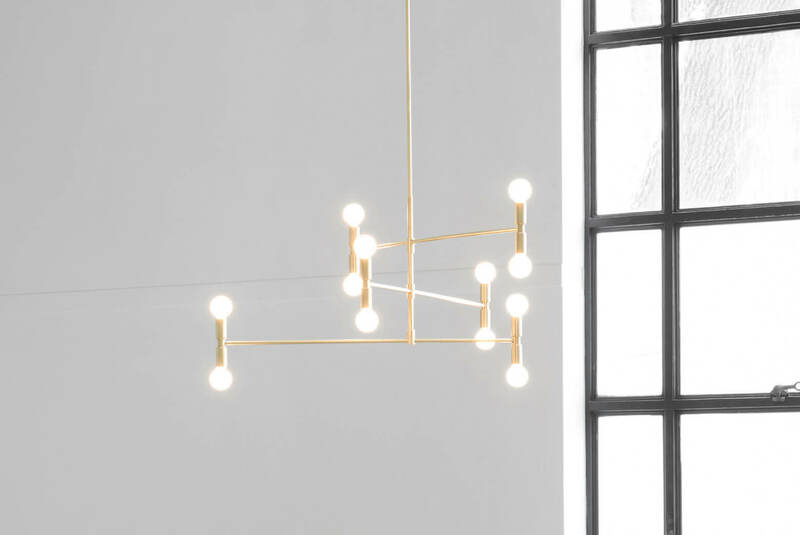 In the Dot collection, Lambert & Fils has explored and delved into expressing the fundemental elements and principals of art and design – specifically balancing lines, and luminous points. 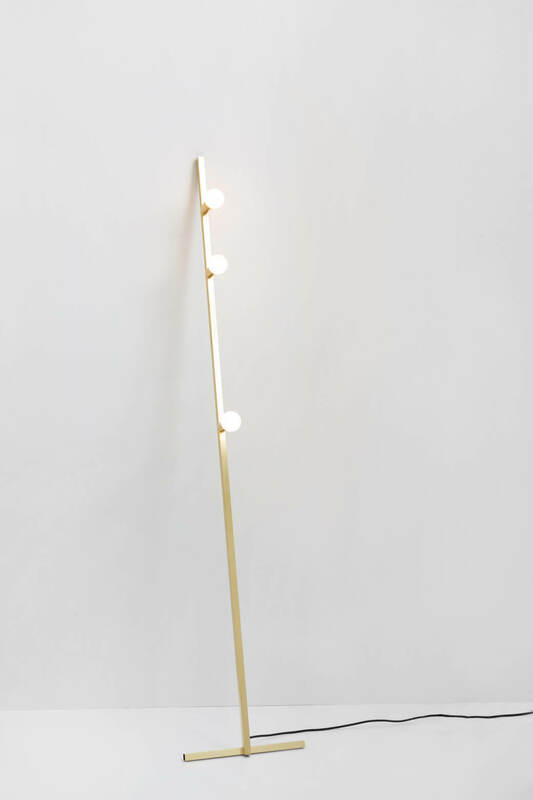 This beautiful body of work comprises itself of a simple, but rich approach to materiality in its sleek brass housing, and does a beautiful job of marrying the artistic, conceptual elements of the luminaire with its function, and form. The main part of the structure sits as brass rods, carefully composed and balanced in a way that’s delightfully playful to the eye, but securely rigid and solid in structure. 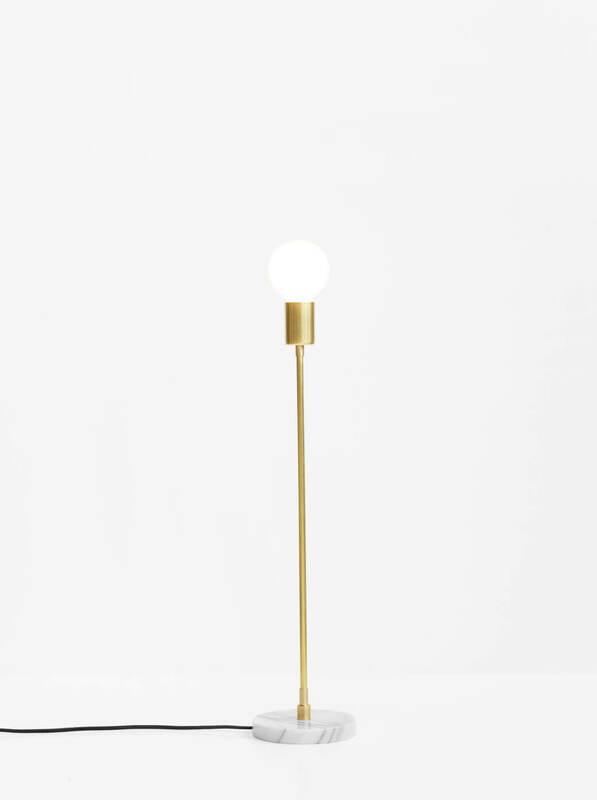 The Dot collection also features numerous other projects of the same visual concept and material formula, redesigned in its form in a number of variations including a floor lamp, an elongated wall luminaire, and a desk light. Any designer knows that what's arguably almost as important as the product itself, is its presentation in a portfollio. 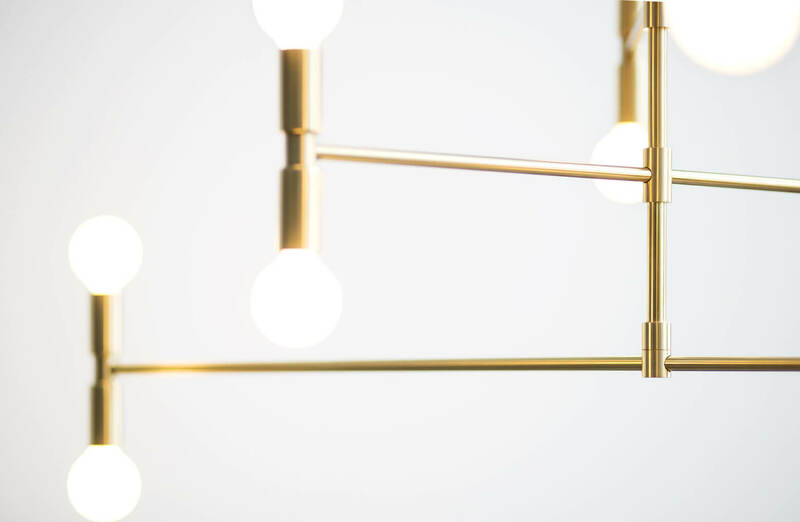 The way Lambert & Fils match their products makes it incredibly tempting to own more of the collection, and display them proudly in our homes as Canadian, and beautiful. For more of their awesome work, check out projects by Lambert & Fils.